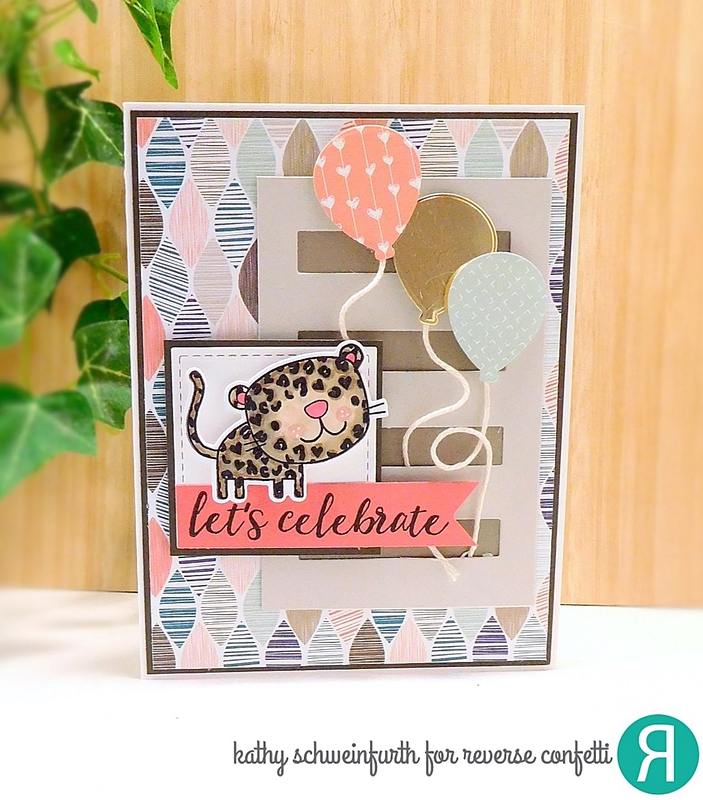 Let's celebrate...it's time for a new Reverse Confetti Sketch For You To Try! I have so many 'celebrations' this year; my daughter's BFF is having a baby, my godchildren are making Confirmation and First Holy Communion plus this year's birthday's, holidays and anniversaries! There is a new sketch posted on the Reverse Confetti blog on the 1st of each month. The sketch link list will be open from the 1st until noon CST on the 28th. 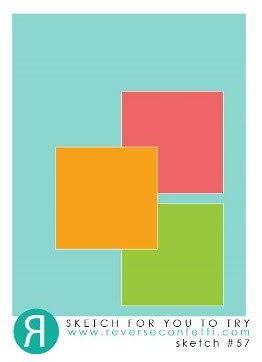 The SFYTT button is posted on the sidebar. Click on it to be taken to the current SFYTT post and link list. 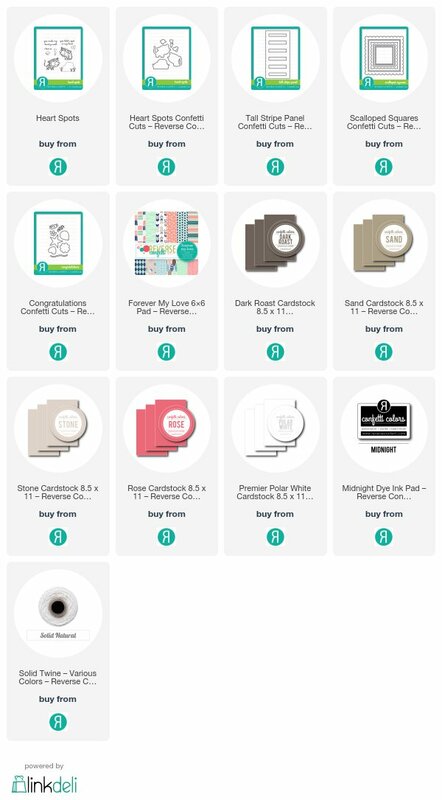 There will be a winner each month and that person will receive a $20 gift certificate to the Reverse Confetti store and claim the title of ‘Fetti Fave. The winner of SFYTT will be posted on the Reverse Confetti blog at the end of the month. 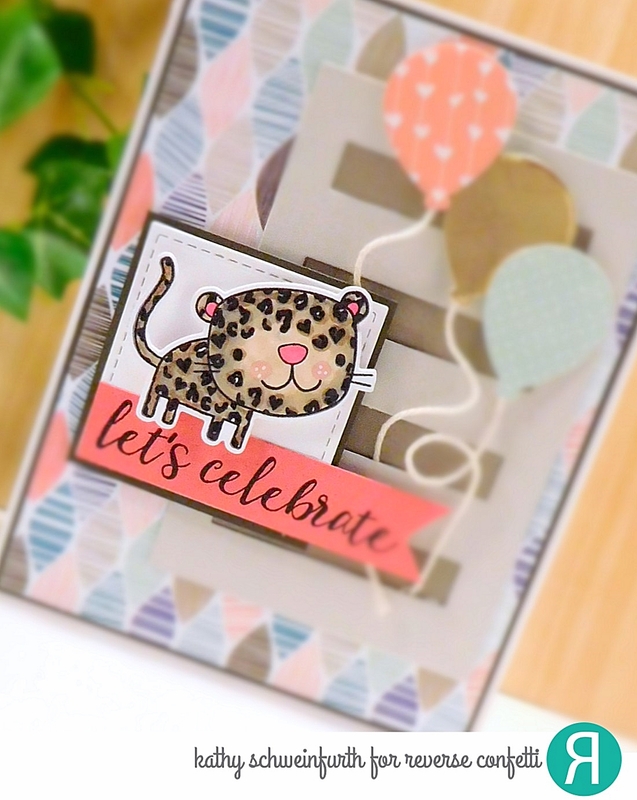 For my card, I chose several Reverse Confetti new release goodies plus a few other favorites! I stared by layering a pattern paper from the Forever My Love pad onto a piece of Dark Road cardstock. The Tall Stripe Panel was cut from Stone cardstock and I placed a piece of Sand cardstock behind it. 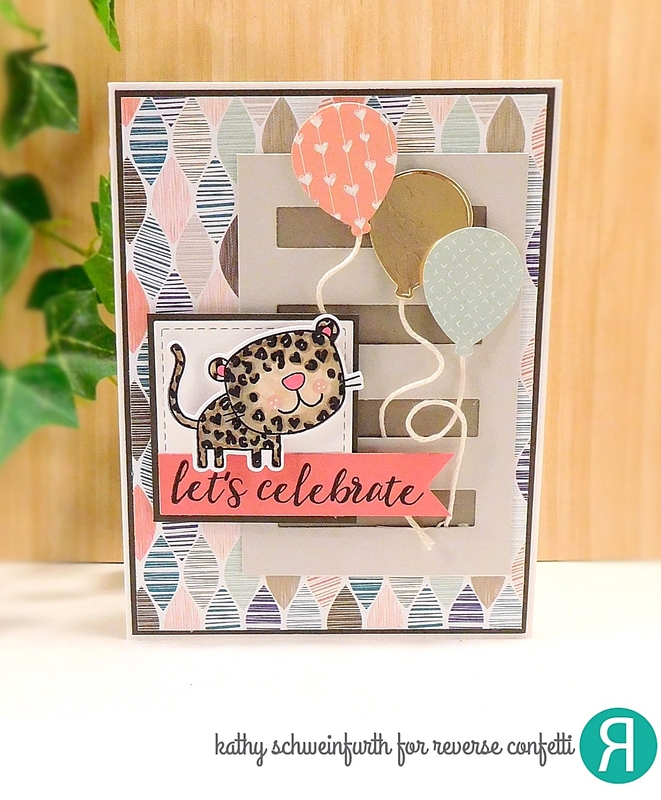 The sweet cheetah (or leopard as some think it resembles) is from the new Heart Spots stamp set/die. The balloons were cut from a couple Forvever My Love pattern paper and gold shiny cardstock using Congratulations Confetti Cuts and 'tied' with Natural Twine. The sentiment from Congratulations was stamped on Rose cardstock. Hope you'll join the fun - can't wait to see what you create! !